Nevertheless, its contents remain hidden from view. The Lunar rubbish bin by Authentics is part of the similarly named bathroom collection by designers Edward Barber and Jay Osgerby. It is made of ABS plastic and has a capacity of 6 litres. 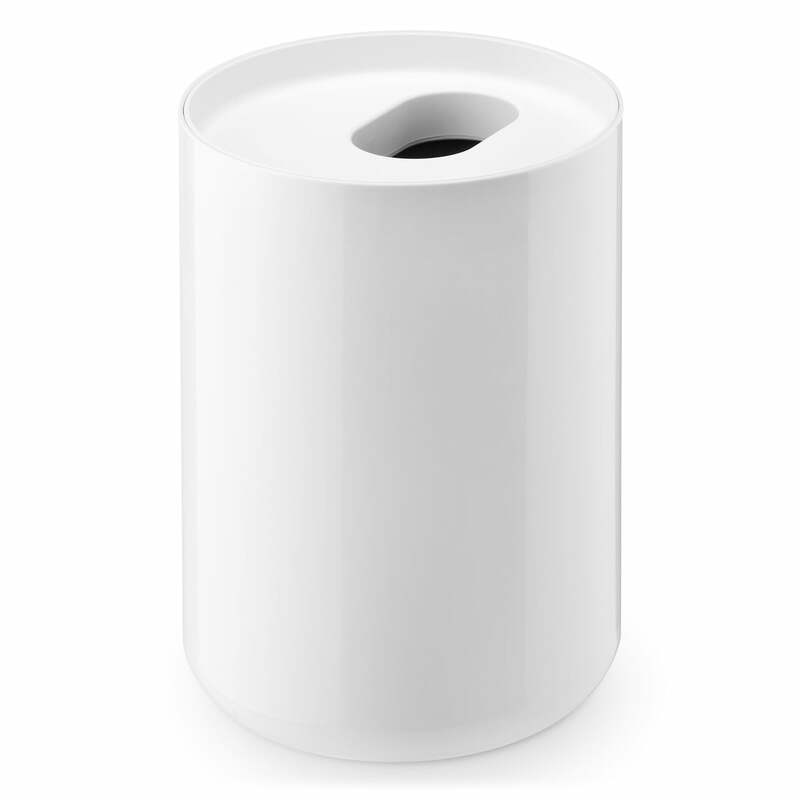 Like all other products in the Lunar collection by Authentics, the rubbish bin also has a round design without any corners. It also suits the collection in terms of colour: its lid is colourful and matte, while its body appears in a high-gloss white. I definitely recommend this product. I was worried about the size but it is excellent size for small bathrooms. The combination of colours white/white is simple and minimalistic. Material is solid and stable. It is a very good product. 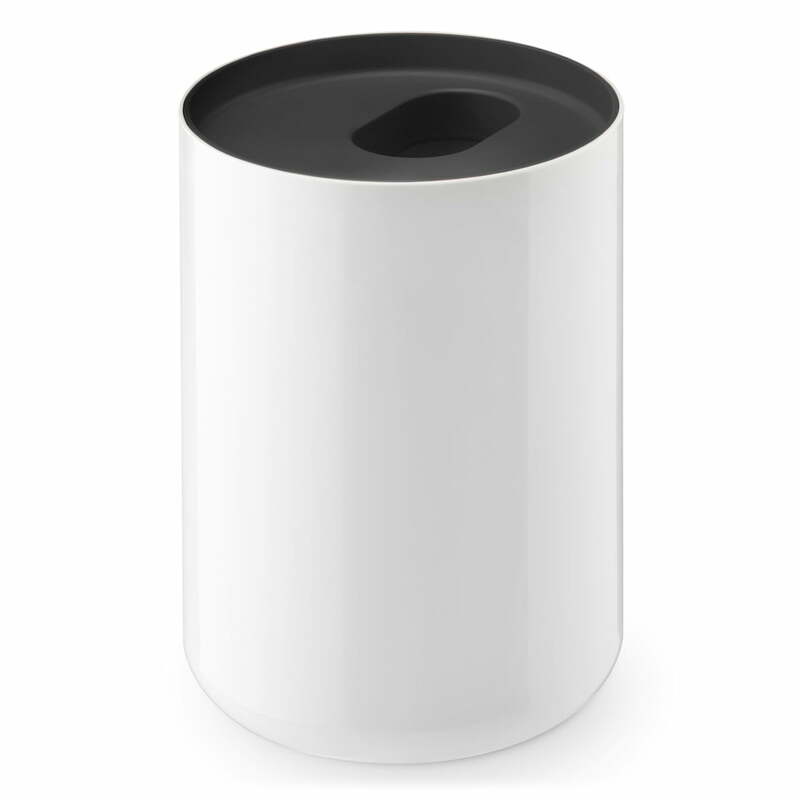 Individual product image of the Lunar rubbish bin by Authentics in white.The robust Lunar rubbish bin in thick-walled ABS plastic is covered with a coloured insert. 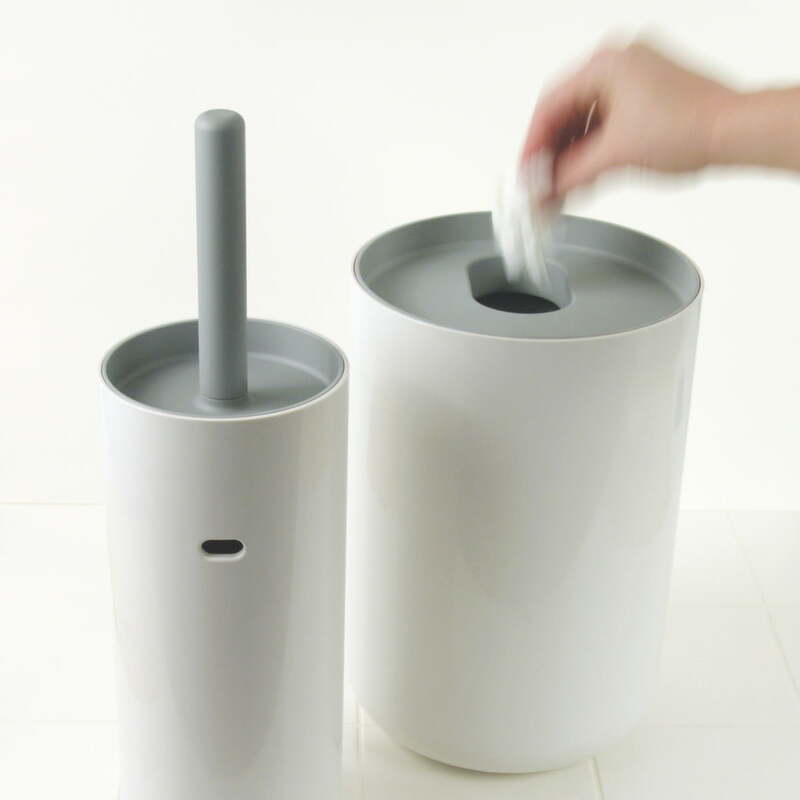 The Lunar rubbish bin by Authentics is part of the similarly named bathroom collection by designers Edward Barber and Jay Osgerby.It is made of ABS plastic and has a capacity of 6 litres. The small opening in the rubbish bin is enough for bathroom waste.Thus the rubbish bin doesn’t have to be opened or closed.Nevertheless, its contents remain hidden from view. 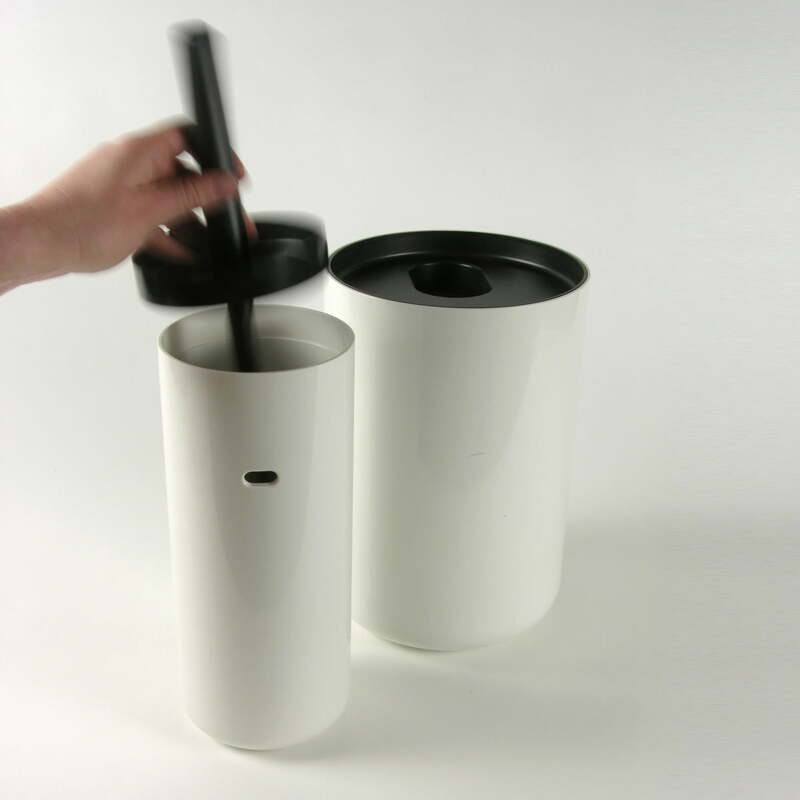 The Lunar toilet brush and Lunar rubbish bin by Authentics is part of the similarly named bathroom collection by designers Edward Barber and Jay Osgerby.